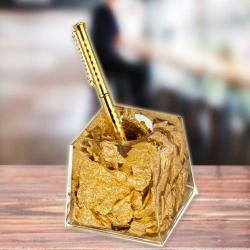 A Gold Plated Hanuman Chalisa your Office and Home Temple. 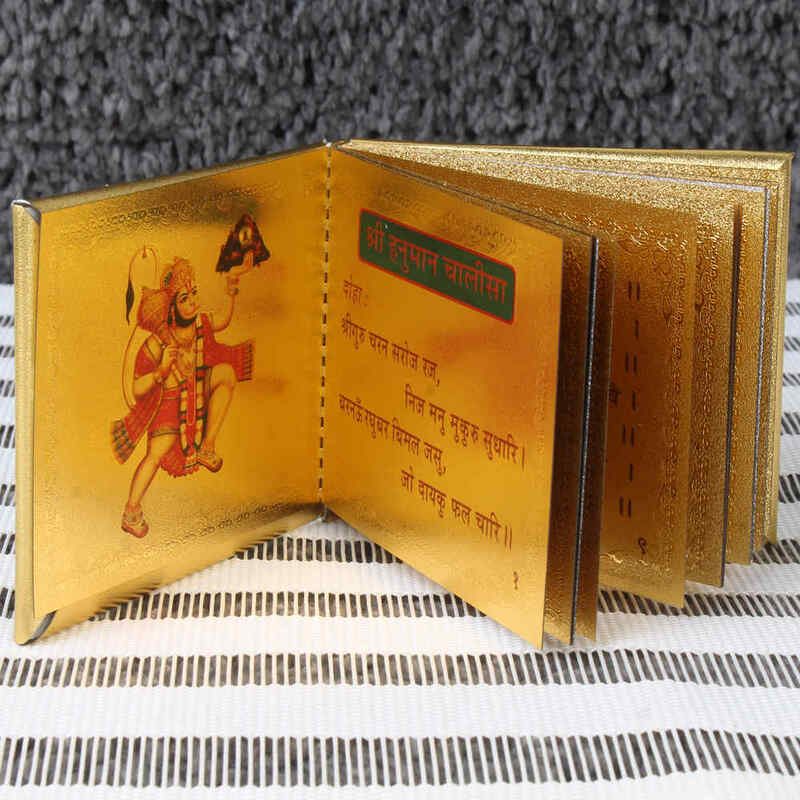 The Hanuman Chalisa is a Hindu devotional hymn (stotra) addressed to Hanuman. It is traditionally believed to have been authored by Tulsidas. Hanuman is a vanara (a monkey-like humanoid deity), a devotee of Rama, and one of the central characters in the Sanskrit epic Ramayana. 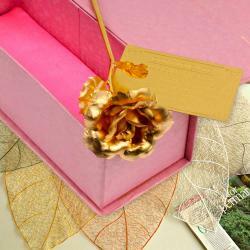 Folk tales increasingly eulogise the powers of Hanuman, and he is considered by many to be an avatar of the god Shiva. The qualities of Hanuman - his strength, courage, wisdom, celibacy, devotion to Rama and the many names by which he was known - are detailed in the Hanuman Chalisa. There are more temples devoted to Hanuman than any other deity in India, and recitation of the Hanuman Chalisa is a common religious practice. 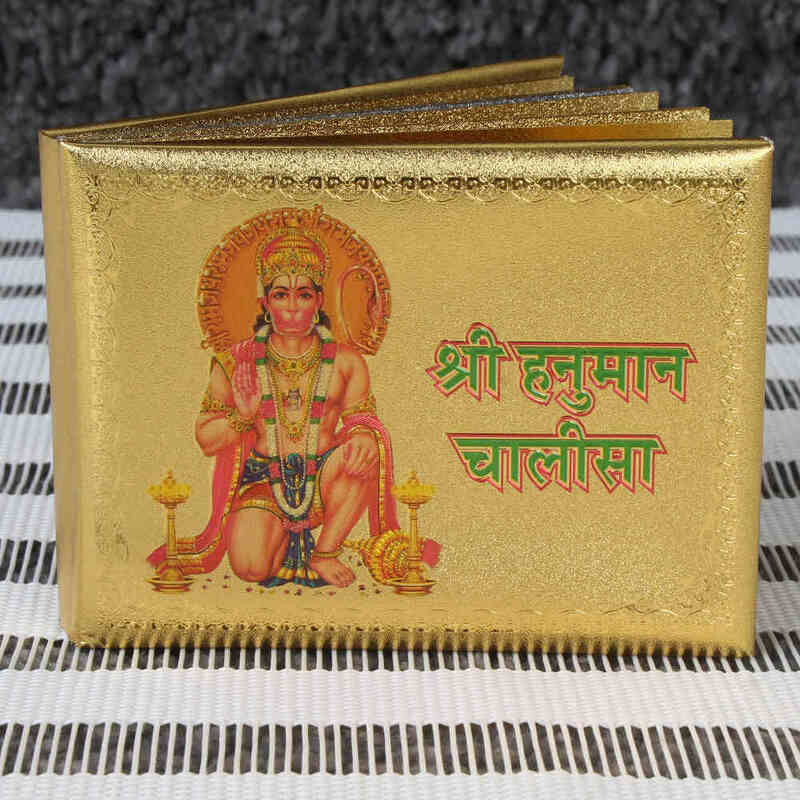 Product Includes : Golden Plated Hanuman Chalisa Book in a Gift Box.